A mid-life crisis can spur at any random moment. Usually it has been building up inside the person and a catalyst sets the crisis into motion. In director Rajat Kapoor's film, ANKOHN DEKHI, a 50-something man, Bauji, gets thrusts into a mid-life crisis, or really a existential crisis, which ends up taking a toll on his family and himself. Bauji is a man who lives a pretty uneventful life of working and taking care of his family. One day his daughter is seen out with a man without her parents permission. Worried that the man is evil and will smear the daughter's name, Bauji and friends go to scare the man away. However, while they're terrorizing this poor fellow, Bauji comes to the realization that this man is sincere in his intentions and Bauji was misinformed of the boy's character. Turns out he's not evil. Bauji has an epiphany, and he begins to wonder and question almost everything in his life, and he decides to not believe anything unless he experiences it himself. The rest of the film is less about plot and more about a character study of Bauji. He goes on this existential quest with his family not supporting him and friends questioning his sanity. There are moments where the conversations strike an emotional chord when Bauji talks about religion and how can he trust in a higher power if he's never physically seen anything. It's a fascinating concept that many people have experienced before. The themes of believing what you see rather than what you hear and experiencing life for yourself are great to explore. These conversations about these themes are the high points in the film, but in the end, the film ends up being more boring than inspirational. Once Bauji begins to question his life, the film falls into a very predictable pattern. And there's not enough substance there to actually relate to him. On the technical side, the film itself looks great, and there are some breathtaking shots of the city and countryside. 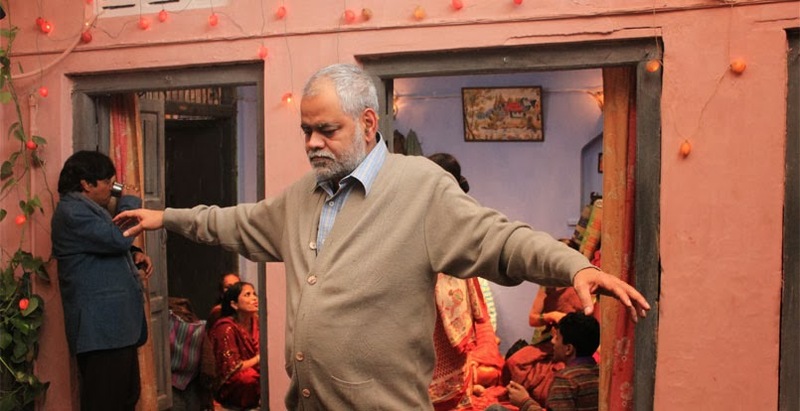 Sanjay Mishra carries the film as well as he can as Bauji but suffers from the boring script. The epiphany happens within the first act of the film that we're not given enough context of his history and mindset leading up to the change. It's not enough to just have a character go through a crisis for no reason, the audience has to want to care about the journey. In the end, even with some tidbits of interesting dialogue, there's not enough weight in the script to make the film anything more than mediocre.